An Australian independent labels association representing independent artists has joined a global stoush with YouTube. The Google-owned video platform is developing a paid music subscription service, and artists that refuse to agree to terms of the new ad-free platform could be blocked from appearing on YouTube altogether. Google is preparing to launch a premium paid music streaming service to rival established music streaming apps. The service would give paying users new ways to consume music on YouTube, and create a new revenue stream for YouTube and the artists. 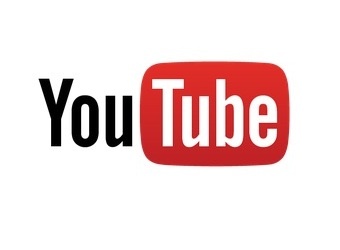 Sony, Warner and Universal have reportedly agreed to YouTube’s terms but independent labels including those of Adele, Arctic Monkeys and Jack White have refused. While the big labels that represent the majority of artists world-wide have signed up, a Marketing source with knowledge of the matter says that those artists that refuse to agree to the terms of the service will simply not appear on YouTube. According to global independent music representative Worldwide Independent Network (WIN), YouTube’s offer to artists undervalues rates from existing music subscription services such as Spotify, Rdio and Deezer. The Australian Independent Record Labels Association (AIR Australia) is one of at least 18 independent music organisations protesting against the YouTube music subscription service’s “highly unfavourable and non-negotiable terms”. AIR Australia chairman David Vodicka released a statement appealing to Google to cooperate and negotiate with dissatisfied independent artists. “We are regretful to hear of pressure being put by YouTube on suppliers who have so far chosen not to sign up to their current contract offer. We may adore new, disruptive business models, but even more we love appropriate, fair, social and artist-valuing remuneration. WIN chief executive officer Alison Wenham labelled YouTube’s actions as “unnecessary and indefensible, not to mention commercially questionable”. “Our members are small businesses who rely on a variety of income streams to invest in new talent. They are being told by one of the largest companies in the world to accept terms that are out of step with the marketplace for streaming. “Our goal is to continue making YouTube an amazing music experience, both as a global platform for fans and artists to connect, and as a revenue source for the music industry. We’re adding subscription-based features for music on YouTube with this in mind – to bring our music partners new revenue streams in addition to the hundreds of millions of dollars YouTube already generates for them each year.